A Portland mosque where a man accused of plotting to bomb a Christmas tree-lighting ceremony prayed has been previously tied to a terrorism investigation, court documents show. The Masjid as-Saber, a.k.a. The Islamic Center of Portland, where Mohamed Osman Mohamud reportedly sometimes worshipped, was discussed in a 2003 affidavit submitted in the trial of several men accused of attempting to travel to Afghanistan to fight U.S. armed forces, also known as the Portland Seven. Mohamed Osman Mohamud pushed buttons on a cell phone in an attempt to detonate a bomb as thousands attended the annual event last week in downtown Portland. Mohamud was unaware that individuals he was working with were actually FBI agents monitoring his actions who ensured that the bomb would not work. Mohamud attracted law enforcement attention in 2009 when he exchanged emails with an associate in Pakistan, hoping to travel there to prepare for violent jihad. When Mohamud's travel plans didn't pan out, the government sent in undercover agents, whose interactions with Mohamud ended in the Somali teen's attempted attack and subsequent arrest over Thanksgiving weekend. Mohamud isn't the first Portland individual to be investigated for intent to travel overseas to engage in violent activity. According to an affidavit filed in the Portland Seven case, two of the defendants talked about the imam of Masjid as-Saber, Muhammad Kariye, with a cooperating witness. Kariye used money raised at the mosque to finance travel for individuals to join the mujahedeen in Afghanistan, the defendants said, and made statements supportive of armed jihad. In October 2002, Jeffrey Battle, one of the defendants, told the witness that Kariye had prepared individuals to fight jihad against Russia. Kariye "told his followers that Muslims should fight with fellow Muslim brothers of Afghanistan against Americans," the affidavit said. Battle "told the CW [confidential witness] that the Masjid (As Sabr) was the only mosque to teach about jihad." During another conversation recorded in September 2002, defendant Patrice Ford told the cooperating witness that Kariye had spoken out very strongly for jihad. Kariye even tried to help finance the Portland Seven's trips to Afghanistan, providing $2,000 for each of the travelers. "Battle stated that Kariye had acquired this money from members of the Masjid As Sabr," the document reads. Both Battle and Ford pleaded guilty in 2003 to conspiracy to levy war against the United States and were sentenced to 18 years in prison. In their pleas, they said that they intended to travel to Afghanistan to fight alongside al-Qaida and the Taliban against American soldiers. Kariye himself, according to recordings between the witness and Battle, had fought in Afghanistan during the Soviet occupation and was jailed in Pakistan for a period of time. Kariye was not charged with a crime in the Portland Seven case and remains an imam at the mosque. In response to Mohamud's arrest last week, the current president of Masjid as-Saber mosque, Imtiaz Khan, echoed allegations of FBI foul play when he said that he and others in the community were concerned with the informant's role in the case. "They're saying, 'Why allow it to get to this public stunt? To put the community on edge?" said Khan. 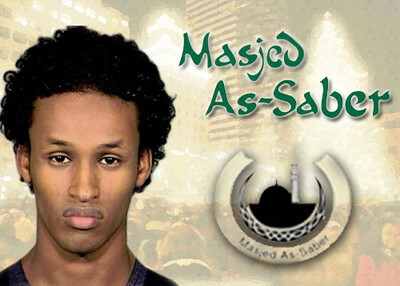 No evidence has emerged suggesting that Mohamud was radicalized while attending Masjid as-Saber. Mohamud also "occasionally" worshipped at the Salman Al-Farisi Islamic Center in Corvallis. Another claim, though unverified, has linked Portland to terrorist activity. In 2002, U.S. Sen. Gordon Smith alleged that terrorist fundraising had occurred at Portland State University and Oregon State University, where Mohamud enrolled as a non-degree student in the fall of 2009. According to an official statement released by Oregon State, Mohamud was not formally admitted to the university and was taking individual courses until he dropped out on Oct. 6. Outside of Portland, Oregon saw a verdict delivered in a terrorism financing case in September. Pirouz Sedaghty, a.k.a. Pete Seda, the founder of the Islamic charity Al Haramain Islamic Foundation, was convicted of filing false tax returns in connection with a scheme to funnel money to Chechen militants. Seda founded the U.S. based branch of the charity in Ashland, Oregon. The Oregon branch was designated for al Qaida terror links in September 2004. Al Haramain Islamic Foundation was designated by the U.S. Treasury in June 2008 for having provided financial and material support to al-Qaida, among other terrorist groups. Homegrown Traitors call it what you may. There is only one answer for people that willfully take other peoples live,without the burden of you the taxpayer footing there expensive upkeep to they slaughter you next time. The word traitor is treason against whatever Town or City or Village you live in, if you respect human life it will respect you,but if you destroy human life or attempt to destroy human life,you in turn have lost the right to the society of which you belong as you have crossed that line of normal behavior, and entered into evilness with hate with murderous intentions. For you and any of your Fellow members who distort there Islamic Religion to murdering of others, its not Prison you need for treatment, but a much kinder solution to your deranged mind. For history tell us a story of Guy fawkes a fitting example for such devious and perverted people that are prepared to slaughter you.